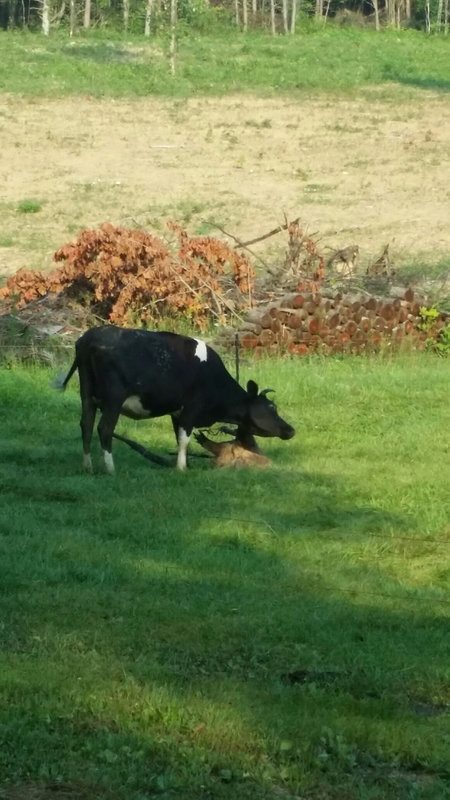 I was coming home from dropping Sahara off at band this morning, and I noticed Beef (unusually) standing a ways off from Bessie, and Bessie was off by herself, standing over what looked like a big brown lump setting in the dirt. I couldn’t see it very well, but the closer I git, I could see it moving and her licking at it. I thought she’d had the calf and just about had a heart attack!!! I flew down the road to the barn driveway. 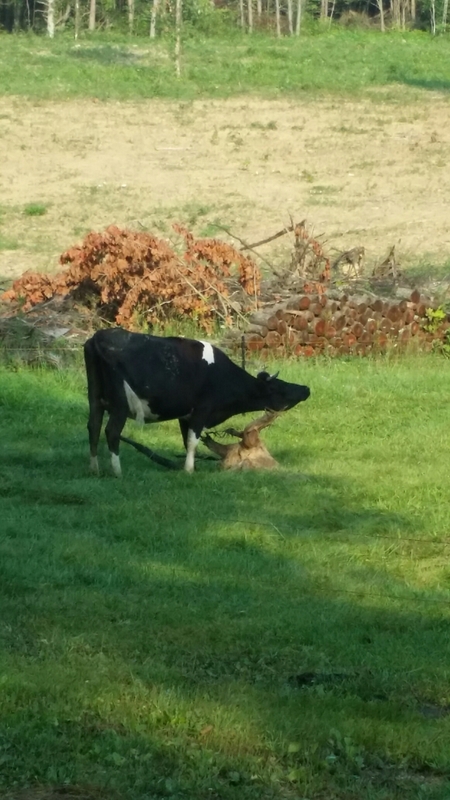 It wasn’t her calf. Thank goodness!!! It was a stump. It was a big bumpy dried out stump, and she was scratching her face all over it. ← She needed a vet! ROFL! Oh, bless your heart! I would have had the same reaction! Then I would have wanted to choke her!